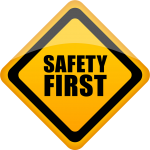 Rowan Electric takes pride in being an industry leader in Safety. Along with providing quality electrical installation and services, our top priority is the protection of our personnel and those working around us. If you have witnessed anything worthy of comment as it relates to safety (positive or negative), we value your input. Please complete the anonymous form below.